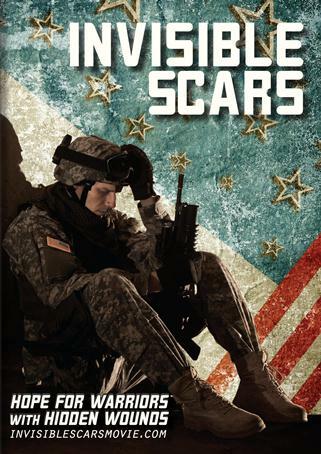 INVISIBLE SCARS IS NOW AVAILABLE FOR FREE ONLINE STREAMING. In conjunction with CrossSword Connection and Crosswinds Foundation, Front Porch Media has produced a new documentary to help educate soldiers, their families, and the general public about the effects and symptoms of PTSD, some of the treatments being offered, as well as, where to seek needed help. The film opened on May 8, 2014 premiering at the Carmike Summit Cinema in Birmingham, AL. Copies of the film are now being made available to our veterans and their families, free of charge. Click "Order DVD" for more information. Click on the YOU CAN HELP tab to see how you can get involved.